There was a time when World of Warcraft, a multiplayer online game by American developer Blizzard, was one of the most popular video games on Earth. The game had 12 million subscribers at its peak, who could explore, trade, raid dungeons and embark on quests in the game’s fantasy world of Azeroth. But despite the fact that World of Warcraft is no longer the premier online multiplayer game, and Blizzard has other titles like the eagerly anticipated Overwatch in the works, there is no doubt that World of Warcraft remains a popular title that is being played by millions to this day. And it seems that Hollywood star Henry Cavill, who played the lead role in the Man of Steel movie and also reprised his Superman role in the more recent Batman vs Superman: Dawn of Justice, is a World of Warcraft aficionado too. Cavill was interviewed on the popular American TV show Conan, and admitted to having missed director’s Zack Snyder call telling him he had landed the lead role in 2013’s pretty good Man of Steel movie, a story he had told Vanity Fair earlier. But most surprising was his reason for not being able to answer the call: he had been busy playing World of Warcraft, and was in “an important part of a particular dungeon that I was going through”, as he told host Conan O’Brien in the interview. The Man of Steel actor is not the only celebrity fond of video games though, as superstars like Daniel Craig also told the press he passes time with video games like Microsoft’s Halo. Also American actress Mila Kunis, who starred in movies like 2008’s Max Payne is also a World of Warcraft fan, admitting back in 2014 she spent and ungodly amount of time playing Blizzard’s epic fantasy game. 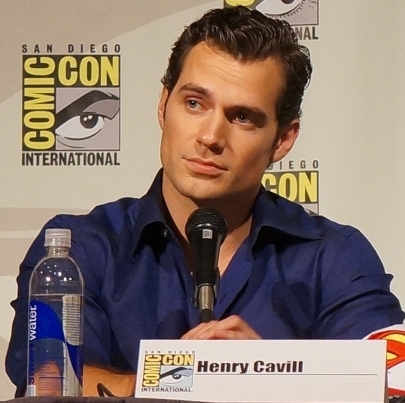 It’s a good thing though, that a high-profile actor like Henry Cavill publicly shares his passion for video games, as gaming has become a mainstream pastime that is enjoyed by millions these days, and hopefully this will lead more people to embrace the great pastime that video gaming is in the future. COPYRIGHT: Warner Bros. Entertainment Inc.